We have a drawer full of essential oils. 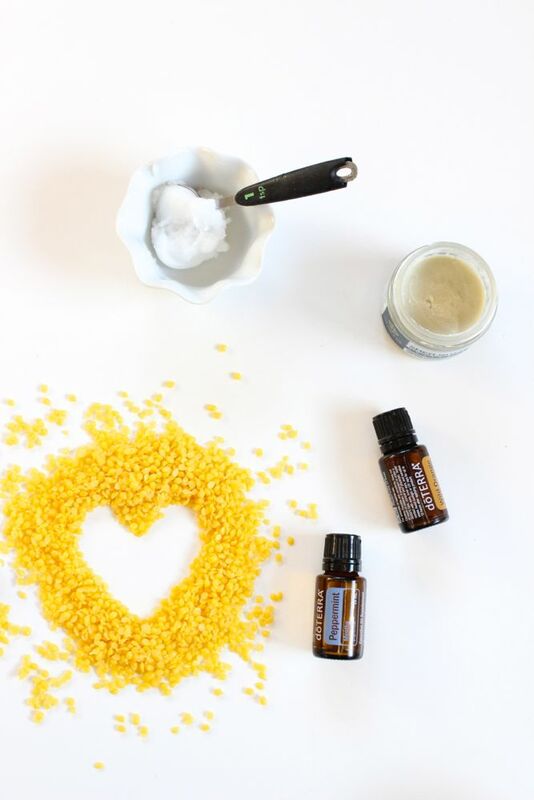 The more we learn about the uses of the oils, the more we love. 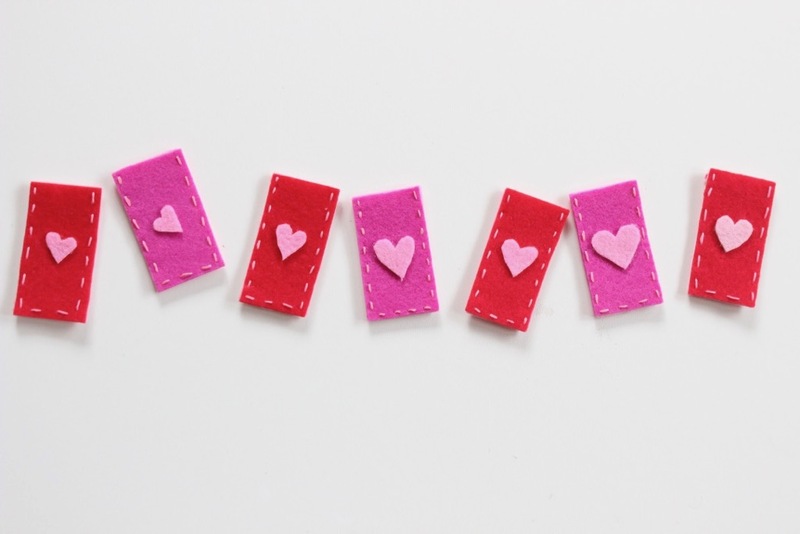 The more we love, the more we want to make. 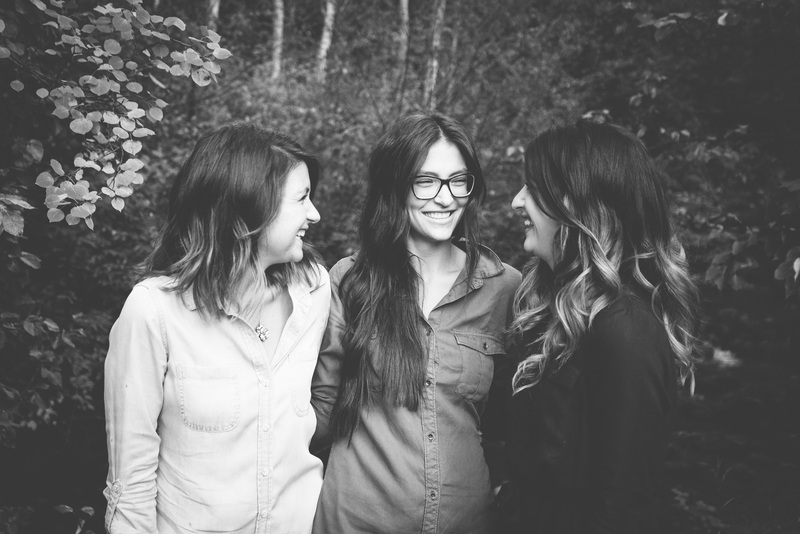 The more we make, the more we want to share. 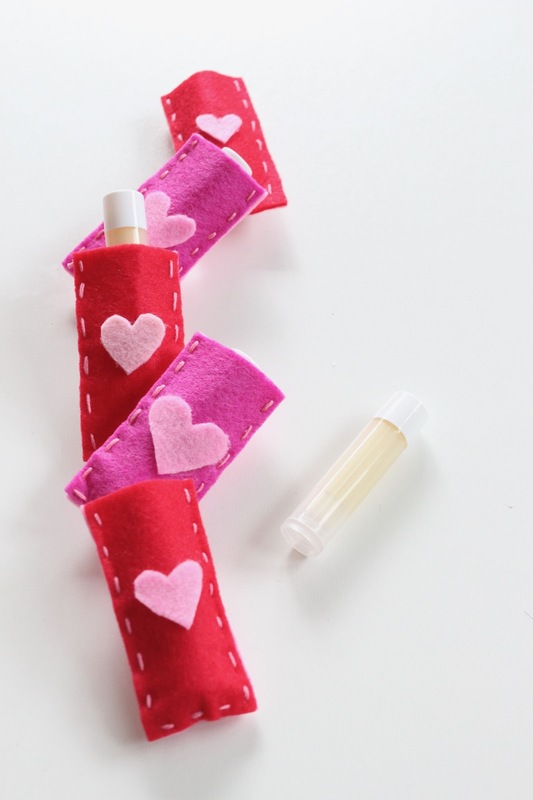 This post was inspired by Gabriella’s (Jessica’s daughter) lip-making kit she got for Christmas (if a 6-year-old can make DIY lip balm with the help of a kit, we could surely make it, too), as well as Valentine’s Day. 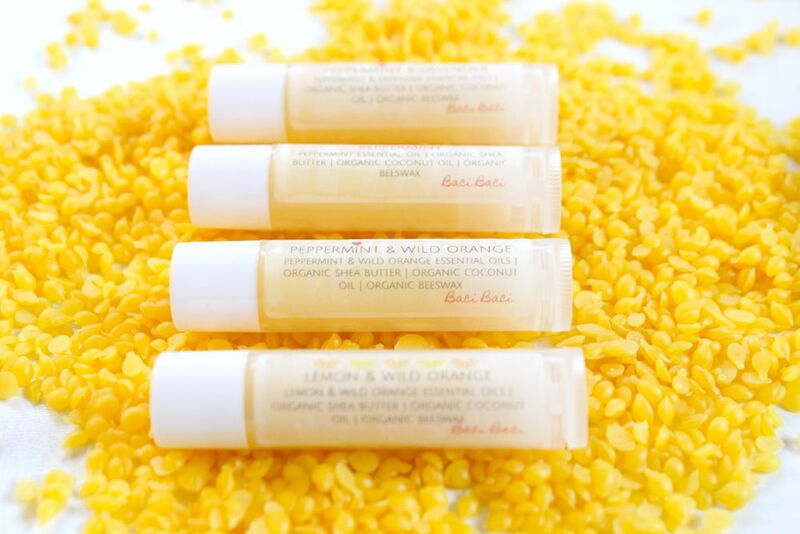 We made DIY lip balms with essential oils that not only smell amazing, but feel soft and smooth on lips too! 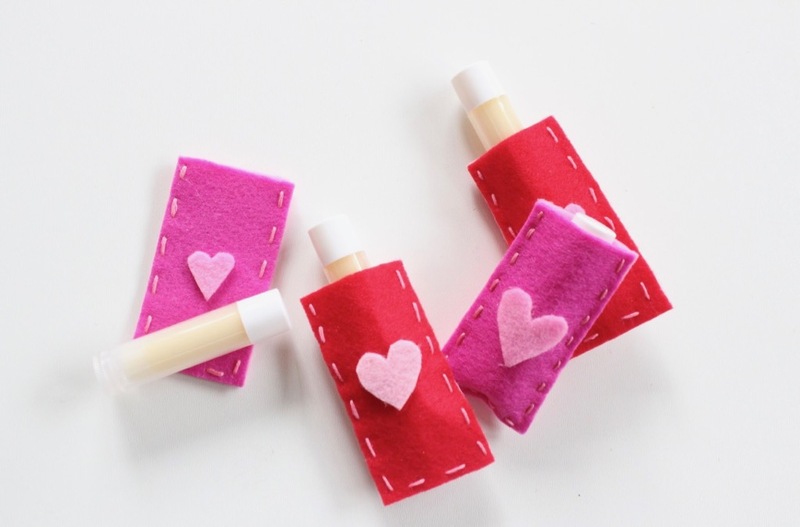 These make awesome gifts for girlfriends and loved ones. It was so easy, and so fun. Step 1: Add 2 inches of water to a saucepan on the stove. Put on high for boiling water. Step 2: Add shea butter, beeswax pellets and coconut butter to a glass measuring cup. Step 4: Stir the essentials oils in the oil. 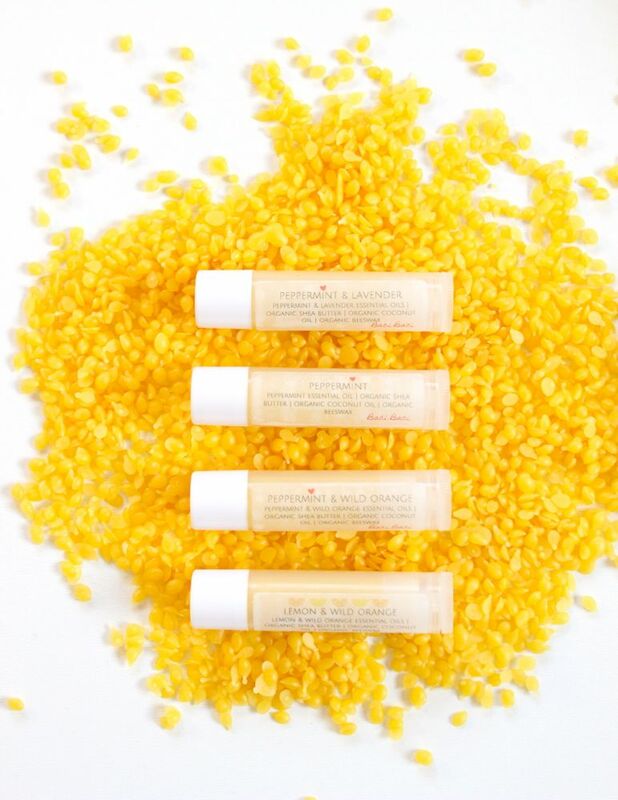 Quickly pour into the lip balm tubes before it hardens. Step 5: Print labels. 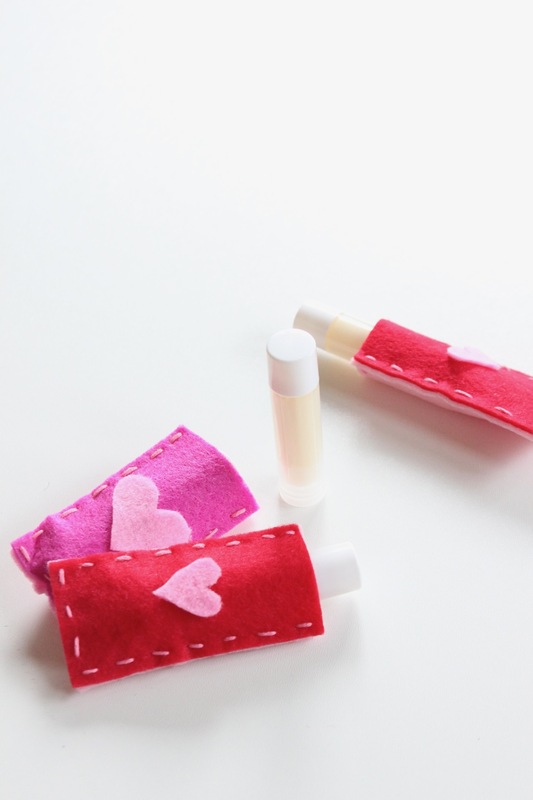 We made our labels for our lip balms using Avery labels. Free PDF file here. The Avery label you need to purchase is 5195. There are 60 labels per sheet. 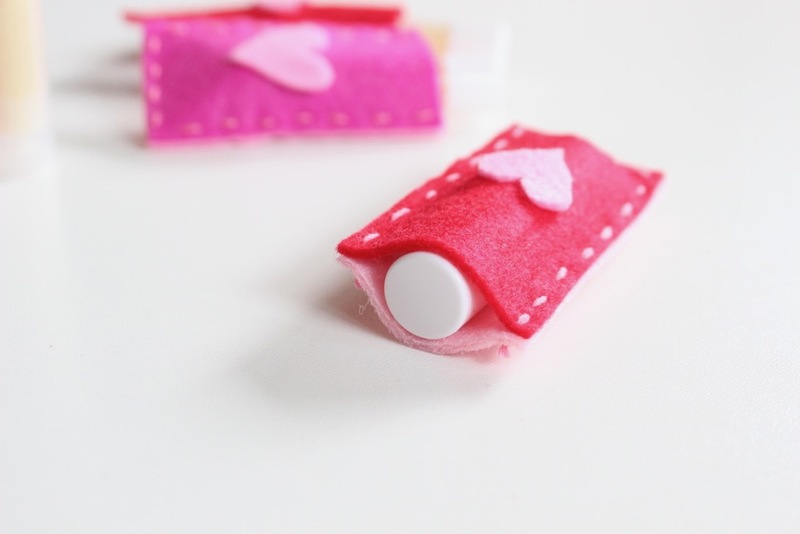 Step 6: Once the lip balm is set (about 3 hours), stick the labels on. 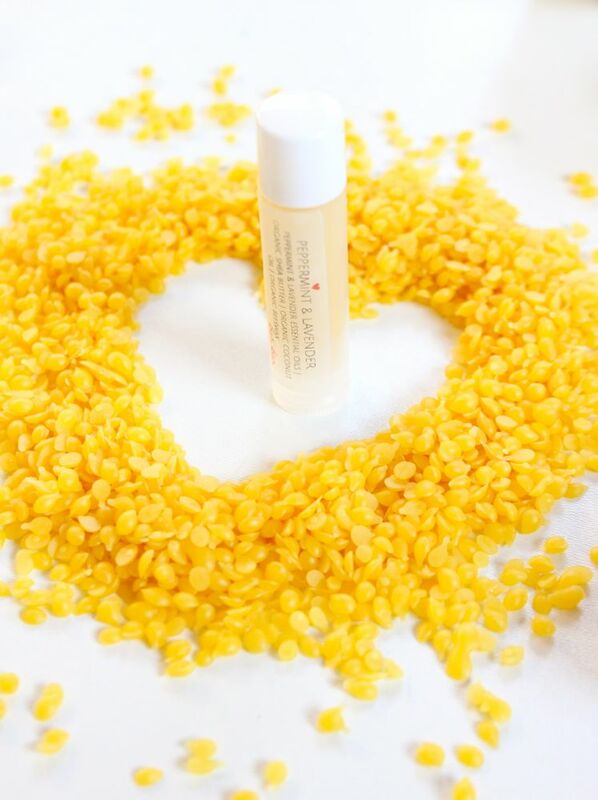 Share the lip balm love, and give to friends! Baci, Baci (kisses, kisses). 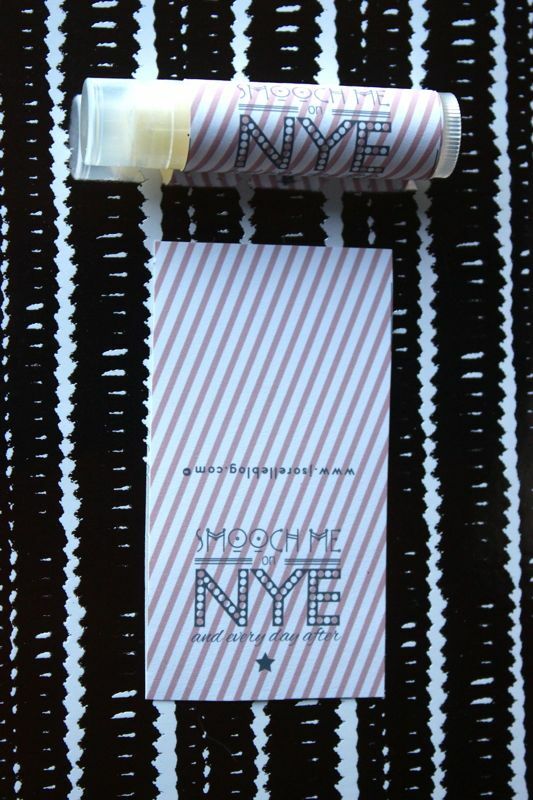 On the 11th day of Christmas, j. sorelle gave to you…Smooch Me on NYE and Every Day After lip balm labels. We know, how can we possibly talk about New Year’s Eve when we are totally overwhelmed with Christmas just one week away? 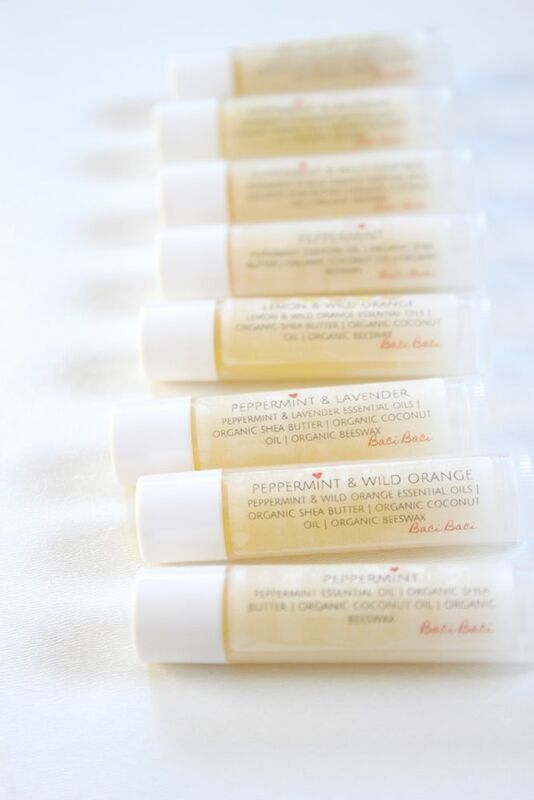 Because one can never be too prepared with small details for a holiday…especially when it comes to kissing. 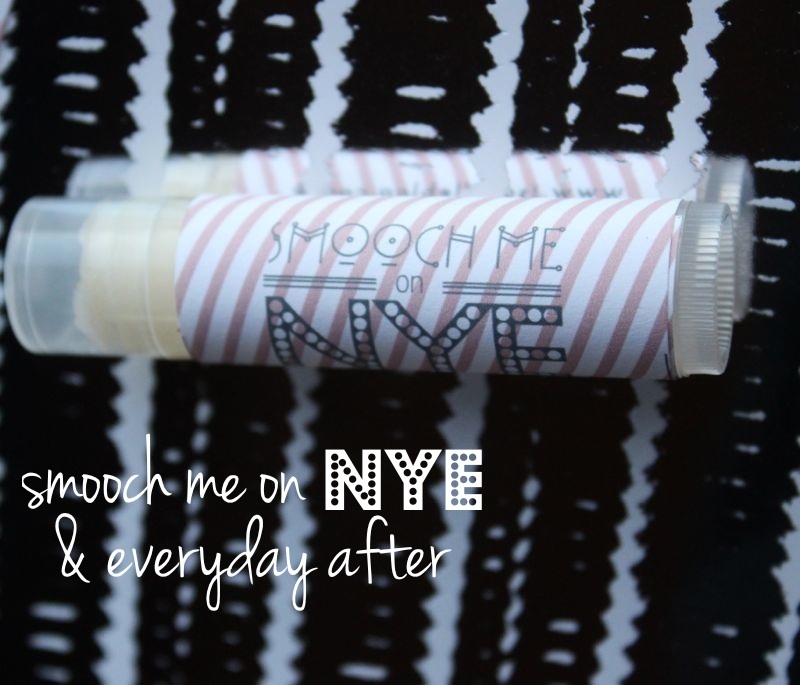 Whether you are hoping and praying for that perfect, magical NYE kiss, or you plan to snooze your way through the new year and dream about the year ahead, make sure your lips feel soft and smooth with custom Smooch Me on NYE and Every Day After lip balm labels. 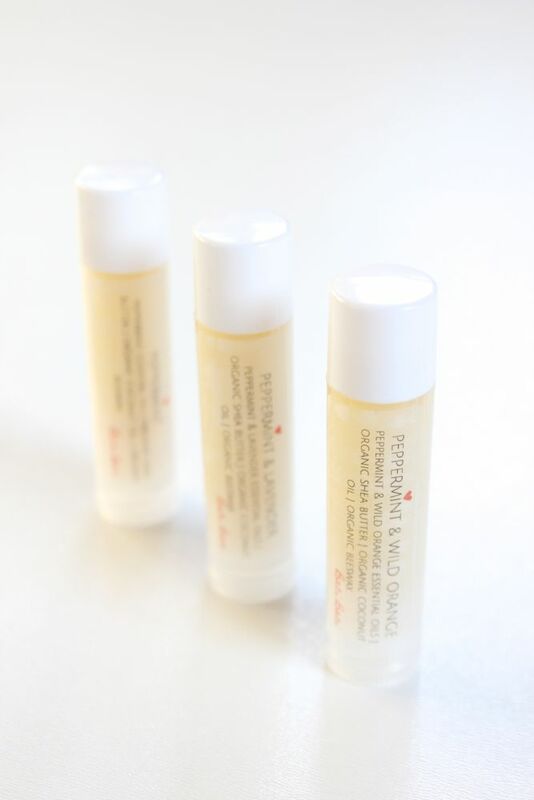 Get the labels here, download instantly, print on white sticker paper, cut and wrap around lip balm. 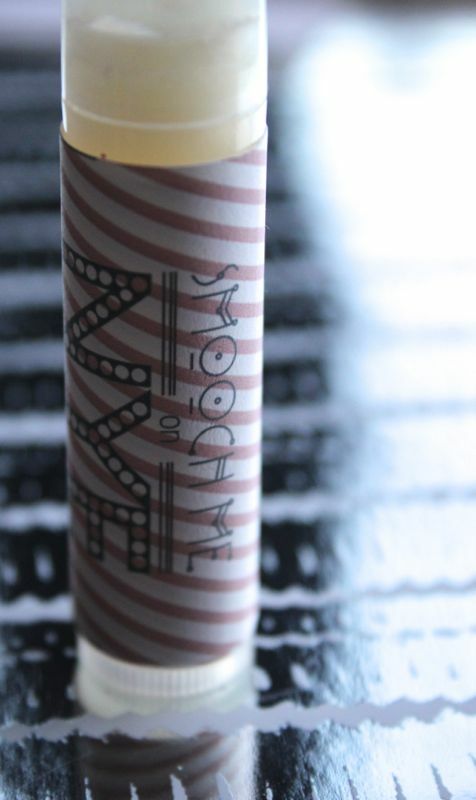 The label fits most shape and size lip balms. 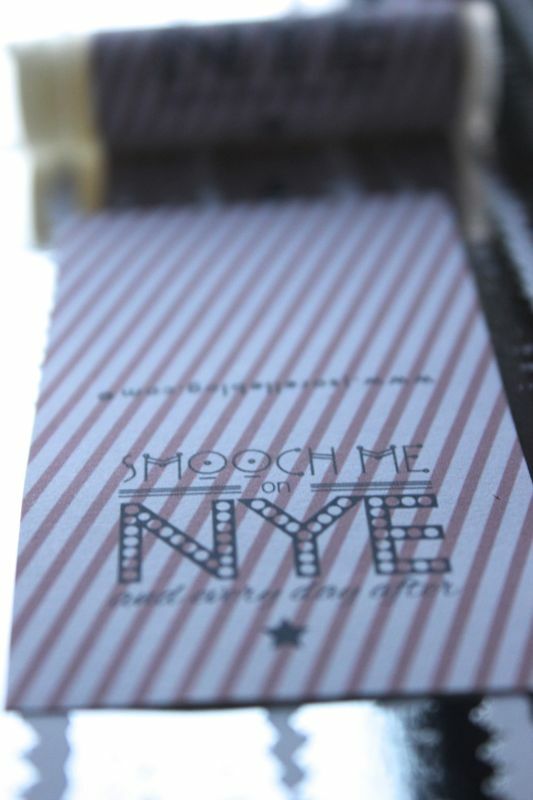 These make a perfect NYE party favor too! We hope you make a little midnight magic this NYE with soft, touchable lips. 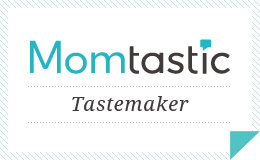 If you want custom labels with different colors or custom text, reach out to Jenna. 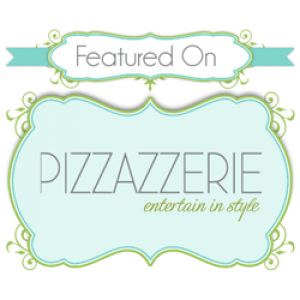 Labels made by Fleur de Lis.